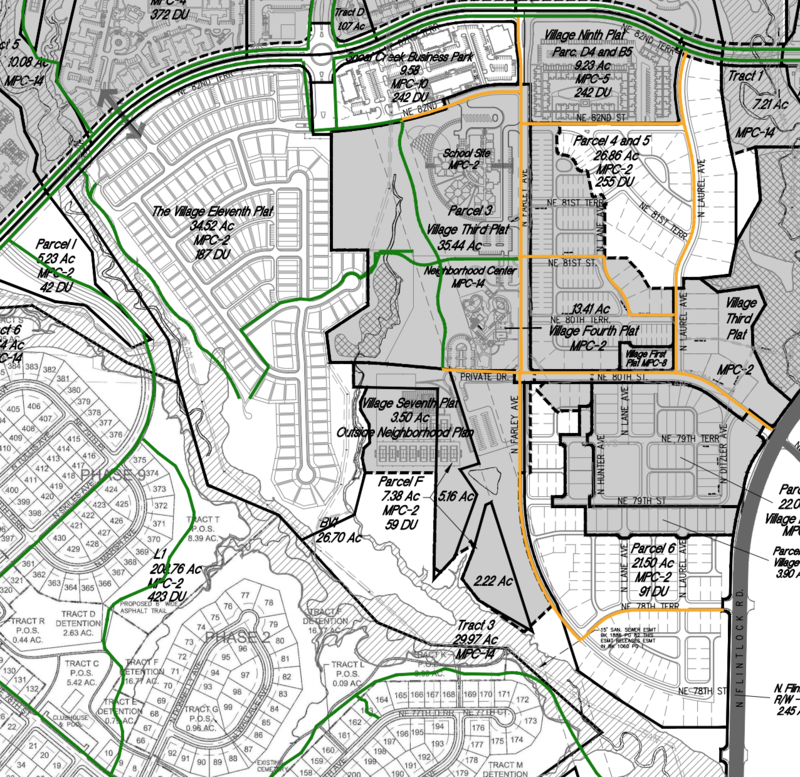 Looks like they have plans to put in a bunch of residential in a large chunk of farmland bounded by Shoal Creek Parkway, Flintlock, 76th Street, and MO-152. We live near that area and I've always wondered why there was farmland nestled there as well as across Shoal Creek to the west when developments are springing up miles to the north. Slobberknockers wrote: You put that many houses there and there better be a plan to help with traffic on 152, it's already a mess now IMO. There's no fix, this will be the third major round of road widening and reconfiguration over I-35. I lived in Liberty during the first one and remember when walmart moved into Kansas City. At the pace of growth the newest bridge project will help for no more than 10 years, probably less. Need to add public transit and reduce the space for cars to help with traffic. SWFan wrote: Looks like they have plans to put in a bunch of residential in a large chunk of farmland bounded by Shoal Creek Parkway, Flintlock, 76th Street, and MO-152. My guess is that the large parcel in question was long-time family farm and the owners were reluctant to sell for emotional reasons. What finally happens is the primary title holder goes into a nursing home, or dies, and the heirs, who might not even live in the area any longer sell off the land for a big payout. Land is being cleared at 108th and Eastern Ave. also. Can someone find the sight plan? Although most of this traffic will probably use 435. Tree clearing east of Eastern Ave. south of 108th too. Lots of new houses going up north of mo152. Nothing too exciting, appears that there will be an additional village ("11th plat') smaller footprint villa style neighborhood at NE 82nd and N Booth submitted for permits. Note the alleyway elevations are included within the plans. I wish these new neighborhoods connected more streets, so one doesn't get caught in these cul-de-sac gulags that force people to drive out of the way just to get over to the next street. I'm surprised the fire/emergency and police departments don't intervene with the city council and tell them how these types of neighborhood plans delay response times. It's also ridiculous that kids can't ride their bikes to visit their friends without four times the riding than needed. My sister used to drive her kid to her friends' houses instead of letting her walk or bike because of this lack of connecting streets. 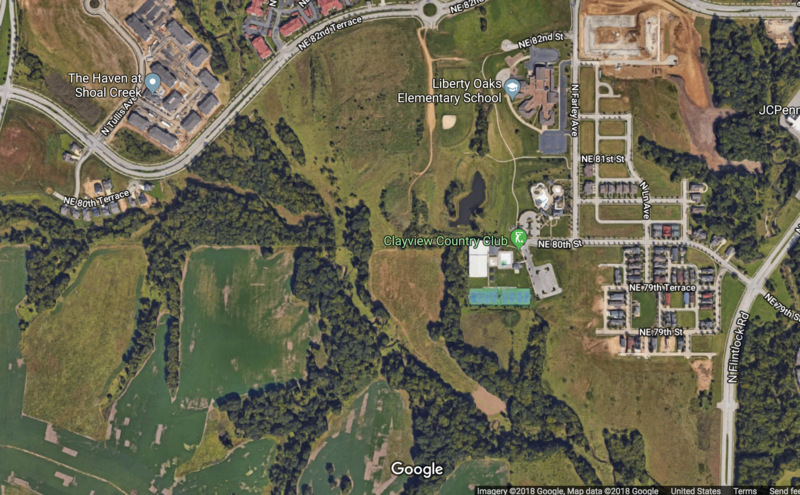 All these subdivisions have kids that go to school together, but their interactions are blocked by lack of connecting streets and wooded ravines. I'm so glad I live in the part of the city that has a traditional street grid. Hah... I once got myself lost in this particular circle of Hell for a good 10-15 minutes or so after leaving a friend's house. My phone had fallen between the seats, I eventually gave up and had to pull over and dig my phone out so that Waze could lead me out of there. Completely agree, that neighborhood is a labyrinth. If we are talking suburban neighborhoods, I at least appreciate the straightforward layout like Staley or something like Riss Lake with a clear main road and then dead end streets branching off. The design of that hell neighborhood is actually ingenious. The overwhelming majority of the neighborhood has to make more than three turns, one into/out of the neighborhood and two inside it. It's horrible for guests who don't know the neighborhood.